We Give Importance to Your Flexibility! Flexibility and comfort are the most important things in office spaces and TankariaAccess Floor system knows that. Hence, we offer a wide range of flooring systems that are specially designed by keeping your space usage in mind. With false flooring, you can create a modular and luxurious space for the datacentre, server room, or office building. So, if you are looking for a place where you can buy this, contact us right away! Designed for large high-tech open offices to manage different services like data, power and network cables, fire pipes, etc. The panels are finished in the powder coated epoxy paint that can accept any top finish as per clients choice. Corner lock screws retain the positioning of the panel. These pedestals negate the need for additional bracing. Specially designed for stability, the modular structure can be used in call centres, conference rooms, data centres. 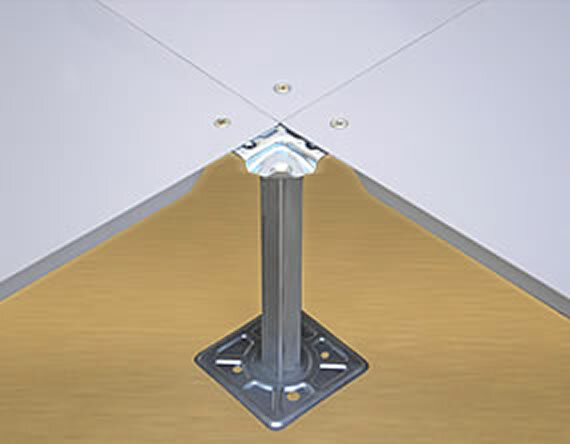 There is an anti-vibration nut used in the assembly to minimize noise and movement from footfall. Enhance adaptability and improve load performance by installing a stringer system in your office. The structure is located on pedestal with stringers that form a grid and the panels are held down by gravity within the grid. The panels can be lifted out of the stringer-grid easily using Panel Lifts which are specifically designed. 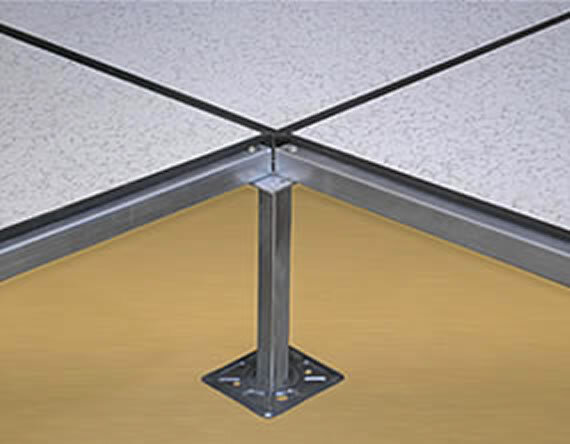 Stringers are snapped on to grooves on the round pedestal head creating a grid of 600mm x 600mm Or 610mm x 610mm which then forms an edge support grid system which increases the structural stability. The Woodcore panels are then laid on a gravity-held system that is extremely dynamic. These panels are top finished with the clients choice of Laminates or Vinyl and a bottom finish of either Aluminium foil or a GI sheet. 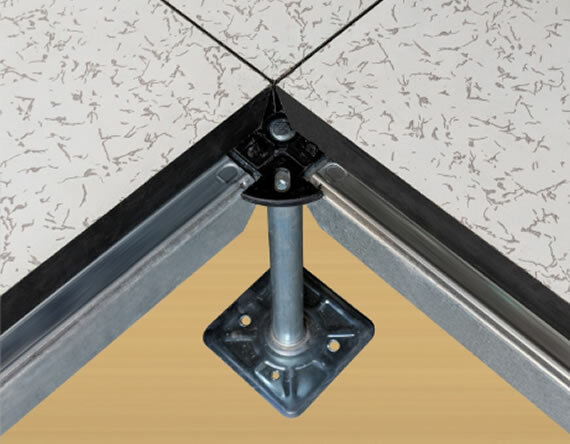 Never lose out on the functionality of your raised access floors. 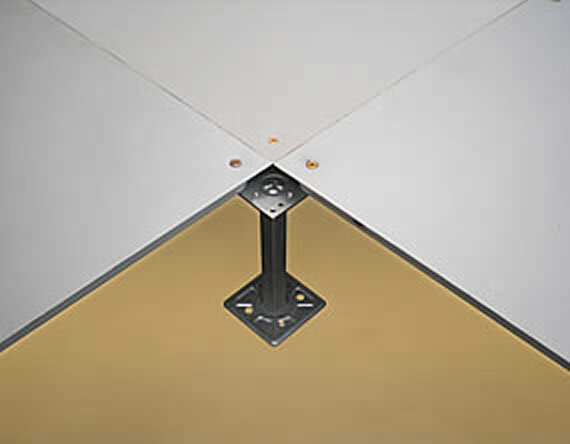 Contact our experts to get customized solutions for access floor systems!